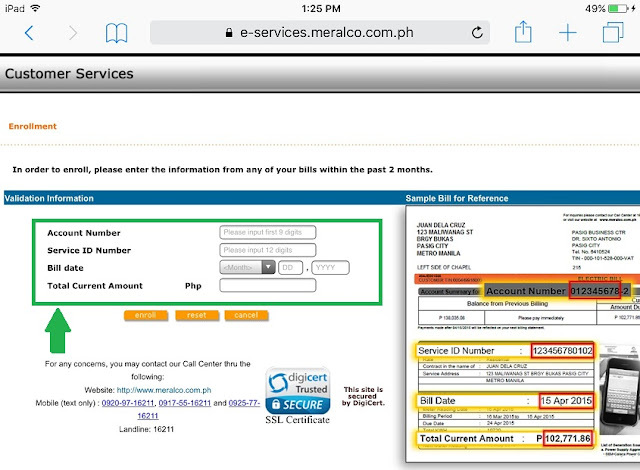 How to view and download your e-MERALCO Bill from the internet? | TOKITECHIE'S BLOG How to view and download your e-MERALCO Bill from the internet? 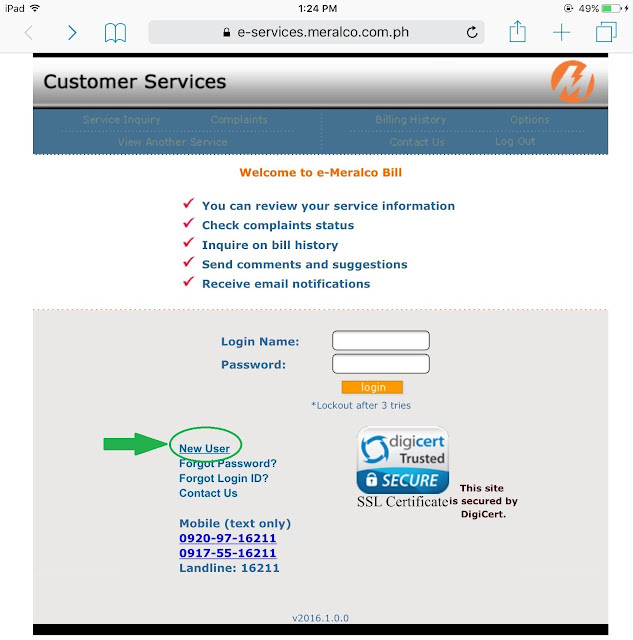 HomeServicesHow to view and download your e-MERALCO Bill from the internet? 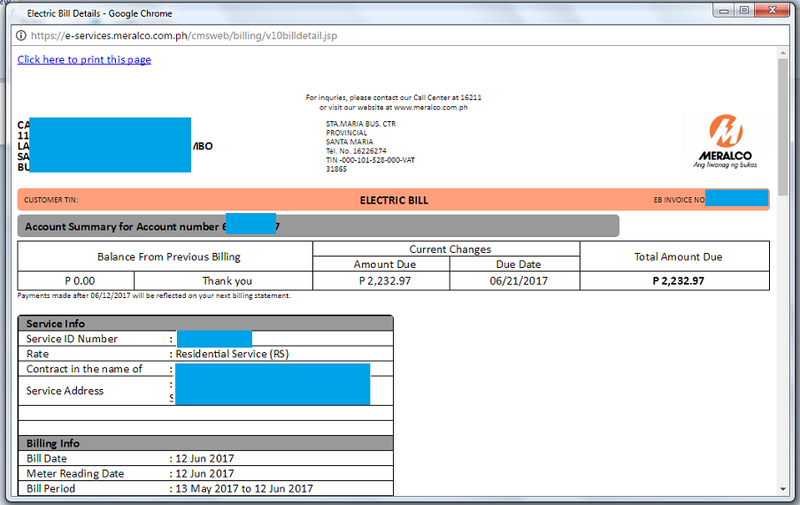 Did you know that you can now view and download the latest and previous copies of your MERALCO bills from the internet? This means that you can now pay your latest MERALCO bill even before the post man delivers it to your registered billing address. As the one who manages our bills, it's a very convenient way for a working class Filipino like me to get an advance copy of the bill even if I'm not living in my parents' house where the official bill print-out is delivered. This also enables me to pay for the bill on an earlier time whenever and wherever I am. I only need the exact Amount and the 16-digit ATM/Phone Ref. No. of the latest bill and then I can easily pay it via G-Cash or via BPI Expressonline. 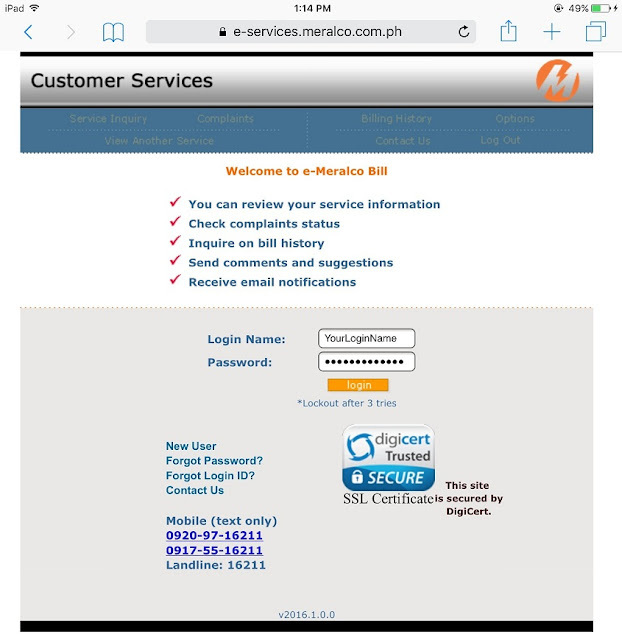 If you also want to access your bills online, you need to register first your account to the e-MERALCO Bill customer service's online portal called MERALCO e-Services which you can access from this Link. 2. Click on the "New User" link (see screenshot below). 2. Read the Terms and Conditions, then click the "I Agree" button. 3. 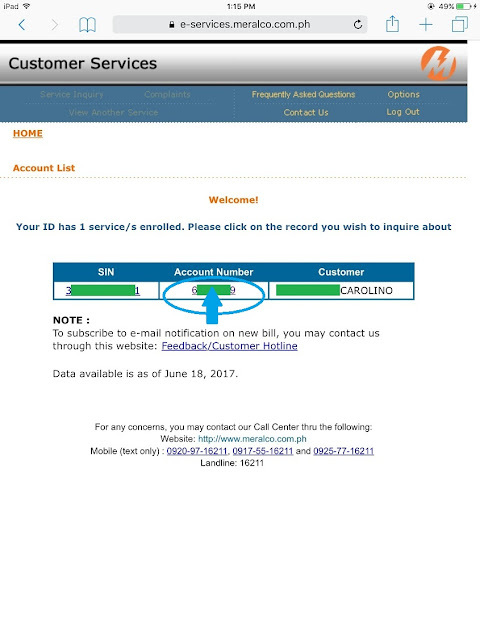 Get the copy of your latest MERALCO bill and enter the Account Number, Service ID Number, Bill Date and Total Current Amount in the space provided. 4. 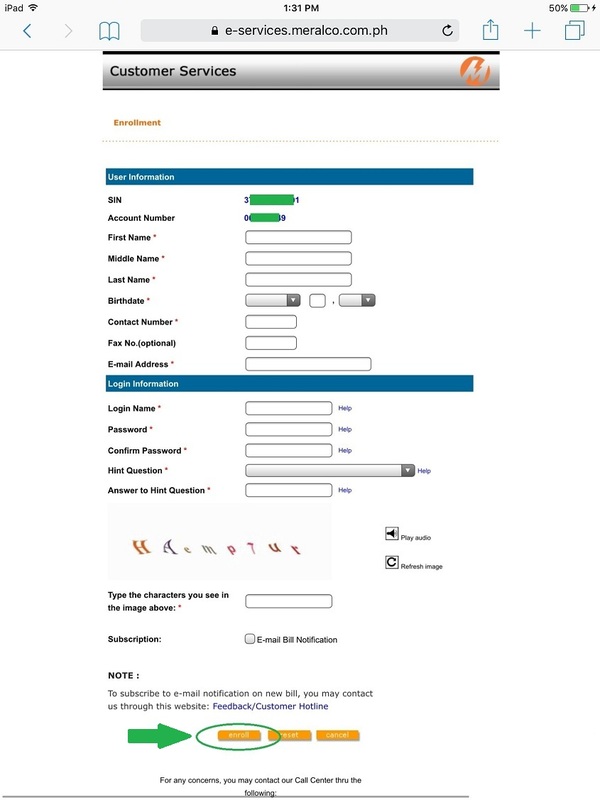 Fill out the required User Information and hit the "Enroll" button. 5. After a successful registration, an e-mail confirmation will be sent to your registered e-mail address. 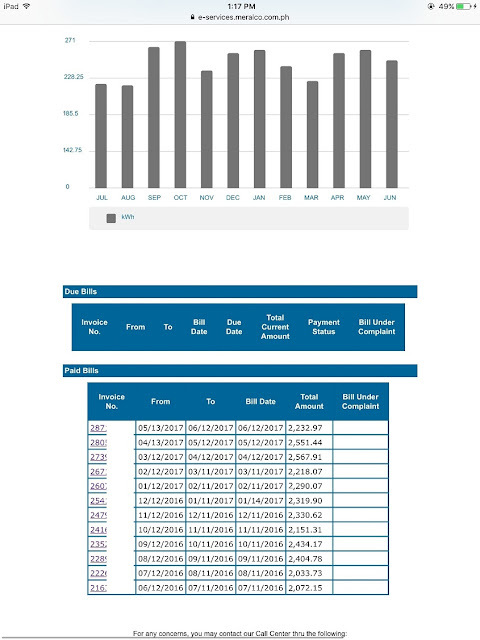 You can start viewing your Service data right away. 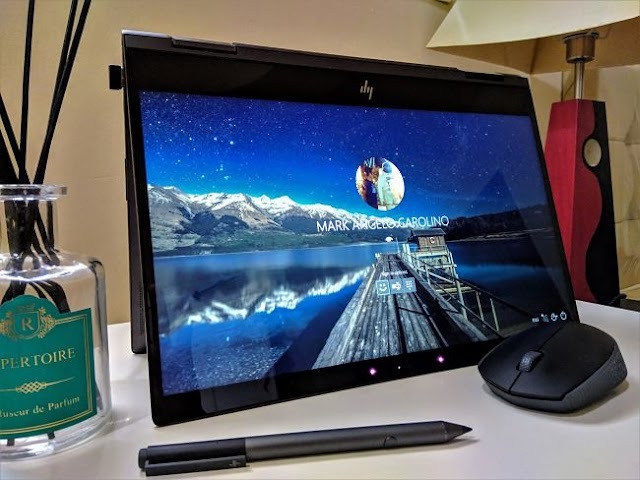 You can either click the link provided on the confirmation screen or you can return to the log-in page and sign in using your registered Login Name and Password. At the welcome page, you will see the service/s enrolled under your registered user ID. Click the Account Number and you will see your Account Details, Customers Details and Contracted Service. 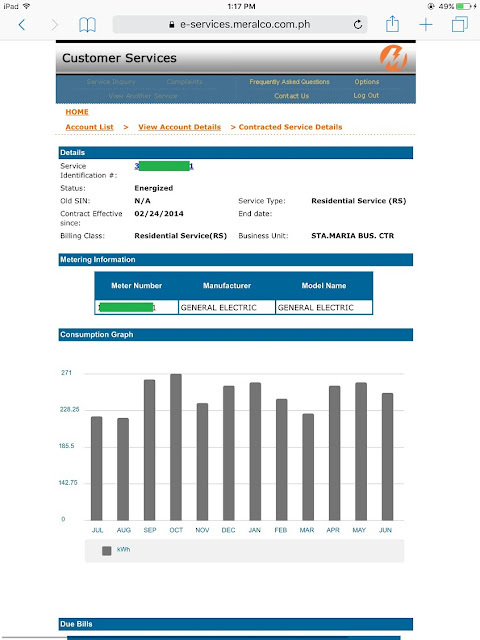 Click the SIN to access your Contracted Service Details which includes the Metering Information, Consumption Graph, Due Bills and Paid Bills. To download a copy of your bill, Click on the Invoice No. under the Due Bills or Paid Bills section. 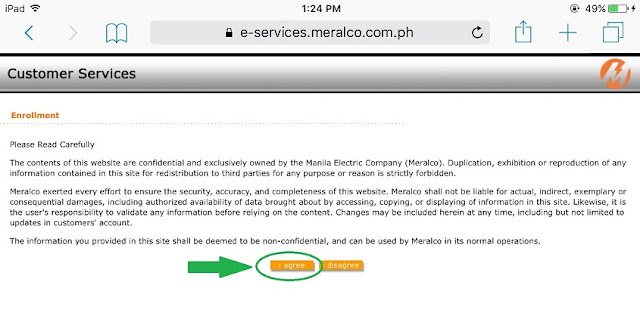 Aside from viewing and downloading copies of your e-MERALCO Bills, you can also send comments and suggestions and check your complaint status within the website. 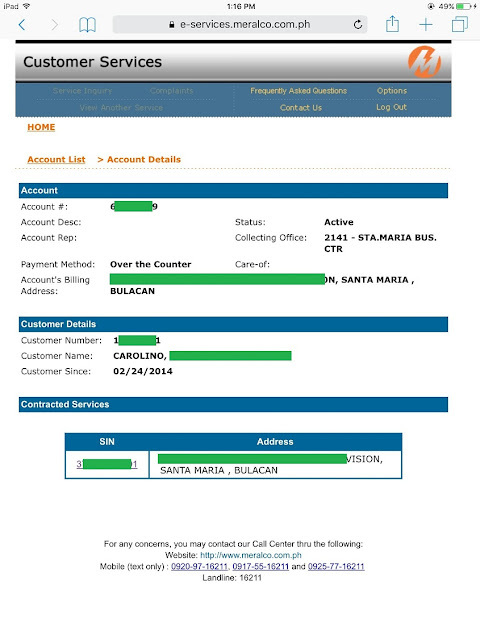 You can also contact the customer service if you want to receive email notification on your new bill. 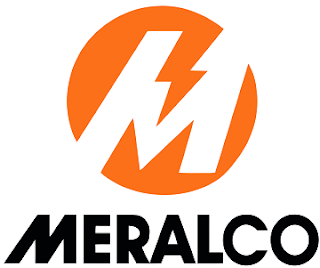 For more information about e-MERALCO Bill, read more from this website: Link.